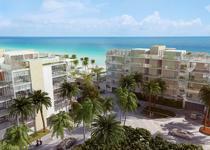 Sage Beach is a boutique condominium sitting on 300 linear feet of Pure Ocean right on Hollywood Beach. This residential masterpiece was designed by world renowned-architect Carlos Ott, and it is planned to be finished by the first quarter of 2016. 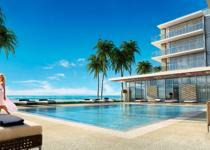 The building offers only 24 fully-finished intimate residences consisting of 2 and 3 bedrooms as well as 6 penthouses with private rooftop access and pools and amazing views of the ocean from every unit.